We thought we should go to the Cradle of Christianity in Scotland; the place where St Ninian, Scotland’s first Christian missionary, landed in 397AD and showed the pagan Picts The Way. 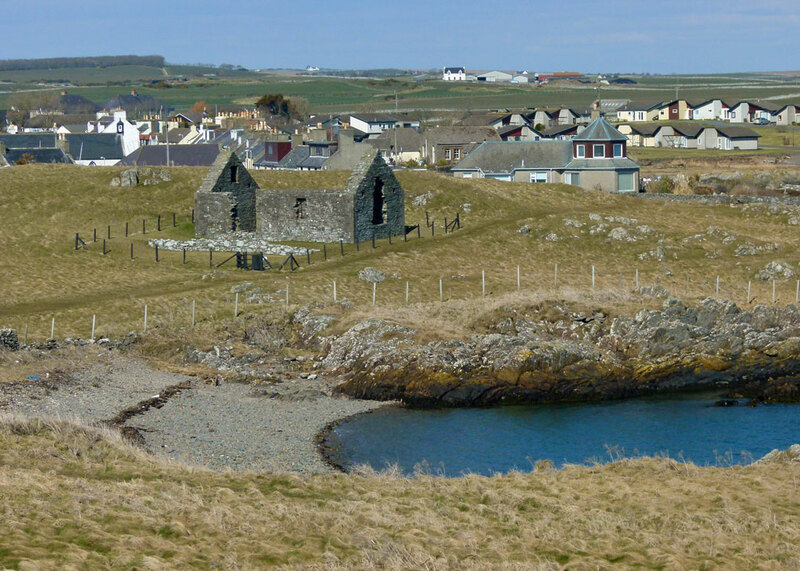 There is a chapel there, near the Saint’s alleged landing place on the Isle of Whithorn, at the south-east corner of the Machars Peninsula in modern Dumfries and Galloway and where there is now a village of the same name. 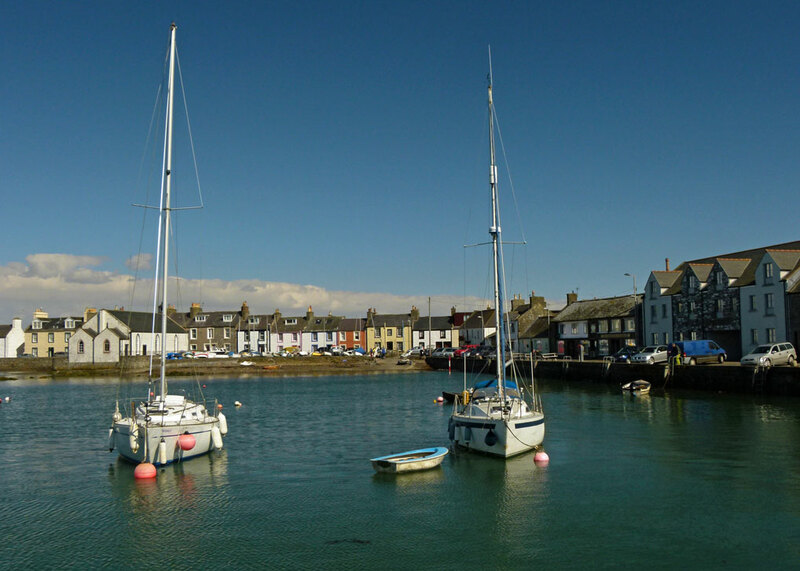 Three or four miles up the road is the slightly larger town of Whithorn, where tradition says that Ninian established his mission, known as Candida Casa from the Latin meaning ‘white house’ – from which we get Whithorn. So this excursion would be Something Special. 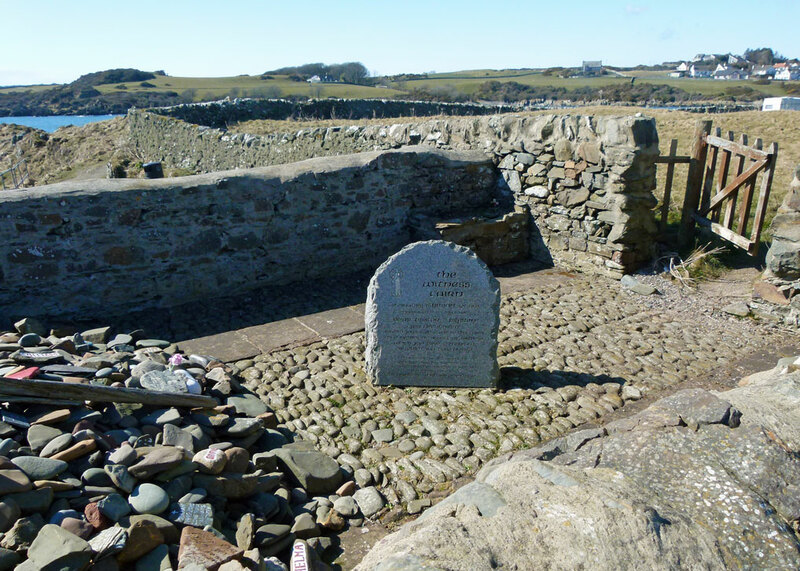 To add to the excitement, the legendary Ninian was doing his stuff when most of Britain was still a Roman province and more than 160 years before the better-publicised St Columba landed in Iona. You know how competitive some folk make religion. Not only that but, apparently, Ninian was British and had been to Rome, whereas Columba came from Ireland and hadn’t been anywhere. That said, the earliest reference we have for Ninian comes from our old friend Bede, known as ‘the Venerable’, but who might equally often be called ‘the Unreliable’. Bede wrote in the 8th century, and God knows where he got some of his stories from. It was therefore with a certain amount of excitement (but not too much) that we headed down from Newton Stewart and onto the lanes toward the place that had traditionally been a magnet for pilgrims, and revered by Scottish royalty. Whithorn town, today officially labelled as ‘the cradle of Christianity’, looked closed – more of that another time. 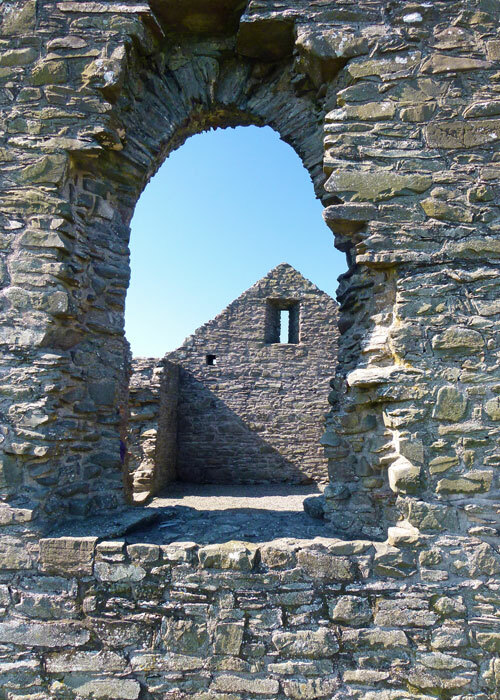 Driving onto and through the picturesque village of the Isle of Whithorn itself, there seemed little to direct the modern pilgrim at all. The road petered out in a kind of car park by a harbour. Guidance as to where to go next came in the form of choosing between the sea and a patch of bumpy ground where people were walking dogs. Two beaches flanked a narrow spine of land leading onto a rocky promontory with a lighthouse or watchtower on it. To our left was the ruined shell of a simple rectangular stone building, surrounded by a fence. Largely by a swift process of elimination, we worked out that this was St Ninian’s Chapel and set off to take a closer look. I don’t know what we were expecting – certainly not anything much, or from the 4th century. But you know how it is that some places, particularly where Great Events have taken place, seem to resonate with the history of it all? Well, this one did nothing for me; absolute zero; diddly-squat. I tried very hard to imagine a boat full of nervous and sea-soaked people, crunching onto the shingle. Grateful to arrive, they had their faith to guide them and a plan to put into action. But the picture never solidified; all I could see was a very pleasant part of the world – and I guess that should be enough, really. I read somewhere that the chapel has a magnificent location on the edge the cliff, which is complete tosh; whoever wrote that had never been there in person. But it’s certainly a lovely spot and, despite the expected rivalry with fans of the St Columba team, completely unblemished by over-tourism; not a saintly relic sale in sight; not even a cilice stall. The chapel is early 14th century, though there is evidence of an older building underneath – probably an earlier chapel for pilgrims. Nearby, a ‘witness cairn’ was erected in 1997, commemorating Ninian’s landing and to which you can add a stone to the growing pile. It gets more exciting by the minute, doesn’t it? There is a Ninian’s Cave nearby but, desperate to go somewhere to watch paint dry, we gave it a miss. 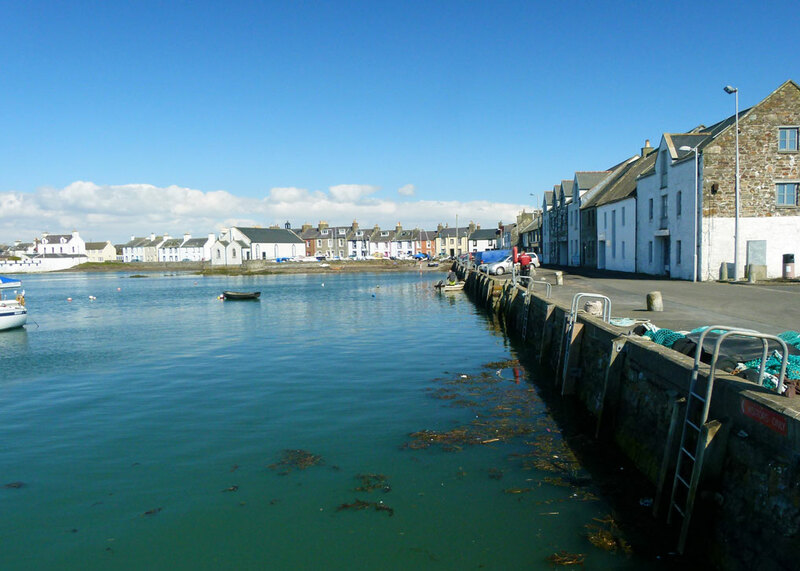 However, the village of the Isle of Whithorn definitely looks like a place where some worthwhile time could be spent. 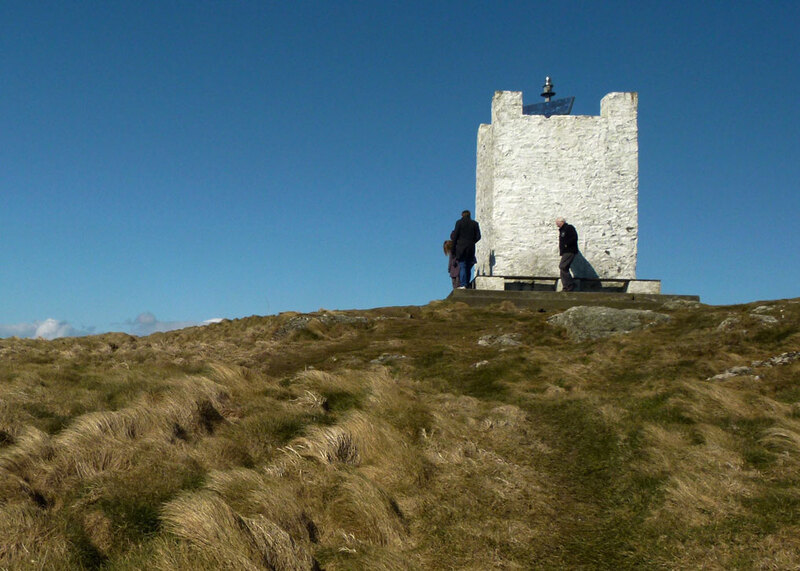 And, as mentioned above, we’ll visit Whithorn the town with you in another feature. Absolutely – he even checked out the dragons etc! I think I may have detected a slight touch of sarcasm in bits of that post! 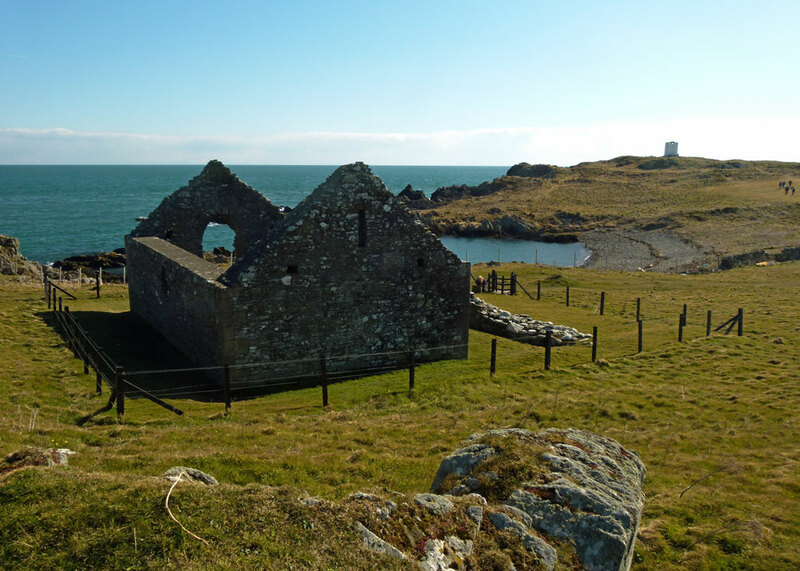 Myself, I’m with the Saint Columba camp and found Iona a magical place, in spite of the tourism. Hi Mike, what a cracking site you’ve got here 🙂 I could spend oodles of time looking through your archives (and probably will!). I’m with Grace though – the lack of anything ‘interesting’ and isolation definitely puts this on my never-ending list of “I’ll get there one day”! It looks picturesque enough, all of it, but I don’t want to be stuck there on a dark, dull, wet and windy day. It must be pretty bleak there then. The town looks charming but the chapel site does look fairly bleak. I like the old stonework, though. A lot of legend there. The place feels windswept.